Week In The Life™ is quickly approaching and I wanted to take some time today to share some thoughts I've been having as we get closer. I've organized my thoughts into three sections for this post including (2) five things I love about the project, (2) five things I've learned over the years about working on this project, and (3) a little more about my overall approach. This project can easily become overwhelming but it really doesn't have to get to that point. Remember, as with all these memory keeping projects, it is imperative that you make it work for you. To figure out what works for you you have to start somewhere and then often adjust as you go. You may want more page protectors or less page protectors. You may want more embellishments or less embellishments. You might want all black and white photos. After doing this project for over ten years I've found a general rhythm for documenting my week that's in alignment with the kinds of stories I want to tell and the kind of time I want to dedicate to the project itself. For me Week In The Life™ essentially consists of two main parts: (1) the documenting - taking pictures and writing down stories/words during the week and (2) bringing those photos and words into an album. I keep the two separate because that's worked really well for me over the years. You might also want to check out my Getting Ready post from last year which covers a few additional thoughts. ONE // I love that this project gives me a very specific reason to use my big camera (I am currently using a Canon 6D with a 24-70 lens). Some of my most favorite photos have come from using my camera during this project. With the advancements and convenience of phone photography I most often just reach for my camera phone as I go about my days. This project gives me a very specific reason to carry my camera around and get the kinds of editorial photos I love to take that show pieces of my life right now. TWO // I love the opportunity to capture an entire week in depth once a year. I don't want to do all my documenting this way all the time (way too much), but I love having one week to focus on what life looks like right now. 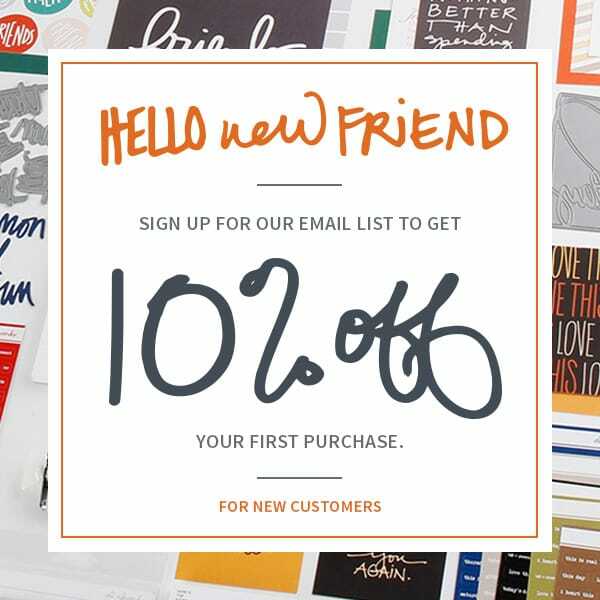 This project is different than Project Life® and different than Day In The Life™. 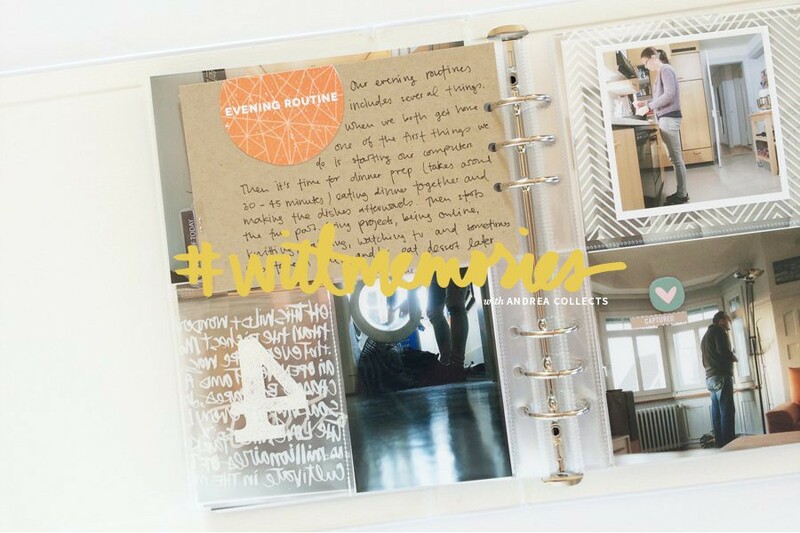 I will still include a spread in my Project Life® album for this week by adding one photo per day like I regularly do throughout the year. For me Project Life® is an overview project whereas Week In The Life™ goes into more detail with a greater story intensity. Some people do choose to include their Week In The Life™ documentation in Project Life® but I prefer to separate the two in order to go into more detail for each day. THREE // I love that this project has a very specific beginning and end. I start on Monday and I end on Sunday and then I make it a priority to put the album together fairly quickly after my documenting week. My goal is to have this project be a time-capsule of one week this year and that if, for some reason, I did no other documenting this year it would tell a really darn good story about what life looks like at this point in time. FOUR // I love that this project gives me the gift of reflecting my life back to me right now. It's an opportunity to capture one week via my lens and my writing and then to take stock - what routines do I love and which ones do I loathe and how much control do I have over those pieces of my life. In looking back on any given Week In The Life™ project I'm transported back to emotions and thoughts and memories. Our stories are constantly evolving (through our own choices and the choices of others) and this project gives us a chance to make a record of who we are and what we care about and why we do the things we do. FIVE // I have long loved that this project makes me so very thankful for the good even during the very challenging. In 2011 I was in the middle of documenting my week when the decision was made to change the trajectory of our family. I didn't write about that directly in my album that year publicly because it wasn't the time to tell that story (not all stories have to be told in the moment or right away), but the fact that I needed to keep documenting because it was my job gave me the gift of remembering that there are always things to be thankful for and things to celebrate even when it's really, really hard to see it on the surface. ONE // You don't have to take a thousand photos over the course of the week. In fact I encourage you not to because that is just too much. Don't get me wrong, I still take significantly more photos than I regularly do on most days of the year, but I've learned that I don't have to take a photo of every single detail throughout the day. For many people too many photos can lead to paralysis when the time comes to actually do something (select, print, etc) with those photos. Take enough to give you some choices when you go to document but don't take too many that you get overwhelmed and abandon the project before getting it into an album. The actual numbers will be different for each one of us. TWO // Throughout my years of embarking on this project I've learned over and over again that the words + photos are the most important parts for me. Because of that I give them the attention and time they deserve during the documenting week. I don't spend any time with my actual album creating during the documenting week because it takes more than enough energy just to get the words and photos taken care of and that's my priority. I highly encourage you to set aside some time at the end of each day to get the words down right then vs. waiting. I have come to find that I'm generally really happy that I took the time at the end of each day to create a blog post that includes my words + my edited photos for each day. Over the last few years the writing that I do for each day of my words + photos blog posts end up being what gets copied and pasted into my album. Here's an example of one of those daily posts from last year: Wednesday Words + Photos 2016. And here's what that day ended up looking like in my album: Wednesday In-Album 2016. THREE // Unless something very unfortunate happens, there will always be another documentation project opportunity. I've learned that I don't have to capture every single thing in this album because it's just not possible. I don't stress about what I might be missing. Whatever I do will be enough for right now + enough for this project. FOUR // Less is more. I know sometimes it must sound strange when I write about using less product when I sell product. My goal continues to be to provide you with intentional products that are tools for helping you to get your stories told (not stuff to collect and not use). If the products are inhibiting you or creating additional stress in the process then, in my opinion, they are not doing their job. Over the years I have learned that having less product to choose from has enabled me to focus more on the words + the photos which, as you read above, is my the main focus of this project for me. This is a big reason why I wanted to start offering kits for my core projects. FIVE // Your story is worth telling. My story is worth telling. 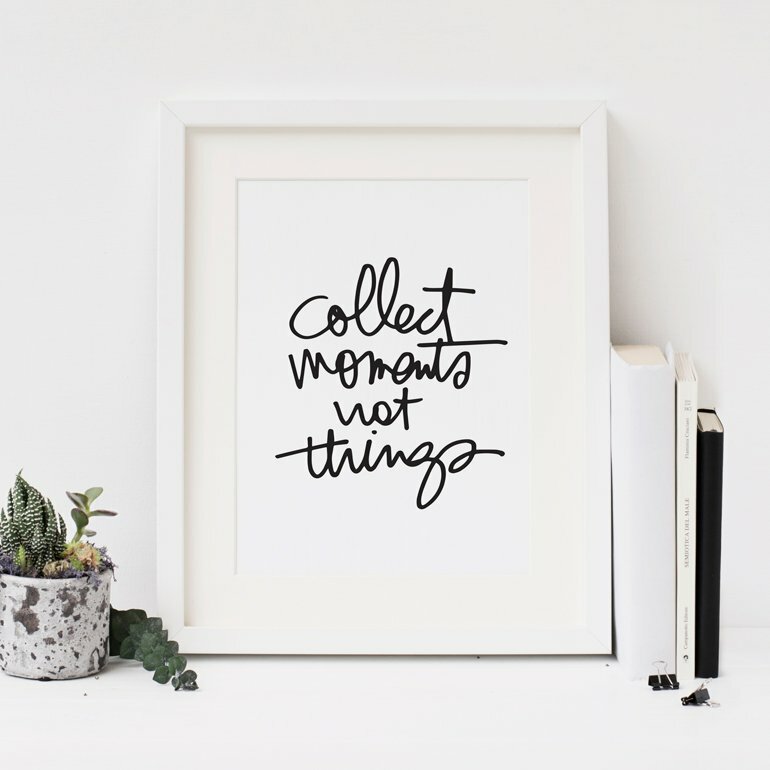 No matter what your life looks like right now - single, married, kids, no kids, divorced, widowed, partnered, depressed & anxious, living with your parents, stay-at-home-mom, working mom, recovering, empty-nester, lost soul, grandma, pregnant, etc - the story of your right now is worth documenting. Not a single one of us knows when our lives or circumstances may change (for better or worse or whatever it might feel like in the moment). This is your chance to capture what life looks like for you right now over one single week. I am so, so glad that I have albums that show what life looked like before Chris left and I'm so, so glad to have albums that show what it was like when it was just me + Simon + Anna and I'm so, so glad that I will now have albums that show what life's like with Aaron + our new family. Your week might be super mundane and routine (never wish that away my friends - love it for what it is right now) or someone may pass away or you might eat way too much leftover Easter candy or your husband might decide to leave or you may win the lottery. None of us know what's going to happen next so take this opportunity to tell the story of what is right now and find the good in your today. Get my album "ready." That basically means laying out the order of my page protectors and assessing the products I have on hand to help me tell my stories. Taking the time to do this helps me understand the actual number of places/pockets I have available for my photos. I also often add photos outside of page protectors which is always an option when you might not have enough pockets - or you might, like me, just like the mix of having some photos inside pockets and some photos added to the album via rings. The goal here is to simply have some idea of the direction you are heading. I follow the same basic layout formula each day for my page protectors because that simplifies my overall process by eliminating a choice I would have to make later on. I don't personally find that this inhibits my creativity (some people do) - I'm super happy to just craft my story to fit within the pockets. Open up my Week In The Life™ Kit and take a closer look at the contents (either for the first time or re-visting them). Sometimes I will add certain products into the album in advance just to get a feel for the flow. Sometimes when I actually go to add in my photos and words I'll change some of that around - just depends on where the stories take me. We still have Week In The Life™ kits available if you are interested in following along with my approach. Make sure to look through the journal cards included with the kit for additional prompt-based story ideas to capture during your week. Looking at them in advance will help guide your storytelling. Make any digital files that I plan to use for this project easily accessible on my desktop. 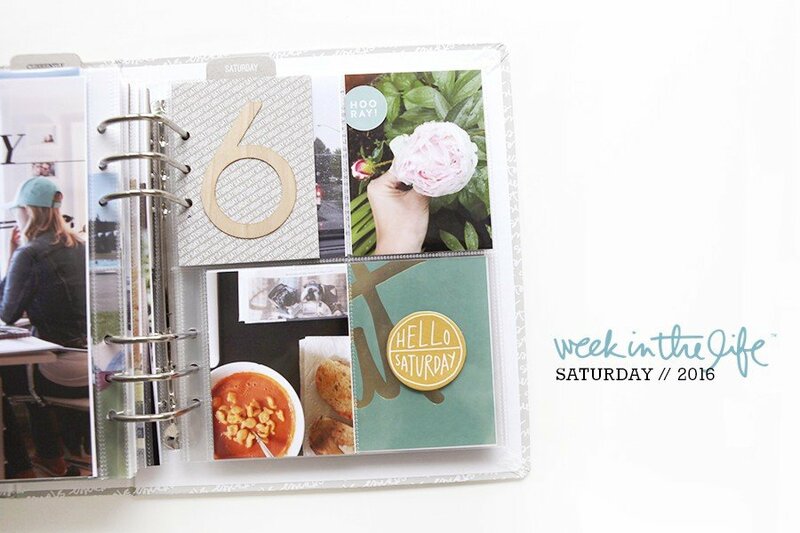 I will be incorporating some of the new Week In The Life™ Layered Templates into my 6x8 album. TWO // Not preparing my album in advance doesn't mean that I don't go into the week without intention. You guys should know me better than that. My goal, over the course of the entire week, is to capture a sense of the "whole" of our lives in this house right now. That doesn't mean I have to take a photo of my breakfast every single day. That doesn't mean that I have to include every single detail. There have been some years where I've intentionally included what I ate for every meal each day and other years where I documented it if I wanted to vs. feeling like it was something I "had" to take a photo of during the day. THREE // Consider a story focus for each of your days. I'm thinking about potentially approaching my storytelling this way but I'm not sure just yet. Maybe one day you'll focus on food and the next day you'll focus on a full day timeline where you actually document what you are doing each hour and maybe on another day you focus on the things you are thankful for at this time in your life. Another way to add focus is to use a specific journaling prompt each day. The journal prompt can guide you in the photos you end up taking as you respond to the specific prompt - consider prompts like "around here" or "the story of today" or "currently" or "gratitude." You might choose to focus on one person each day and tell their story (invite their voice if they are able to add it themselves via writing and photos). Monday: Use the "around here" journaling prompt. As you take photos over the course of the day keep in mind that the story you are telling/question you are asking is "what does life look like around here right now?" Tuesday: Working life. Focus on what a day at work looks like for you. What routines in your life are related to your work? Wednesday: "Wednesdays are for..." Tell me the story of what a "regular" Wednesday looks like for you. Thursday: Use "ing" prompts such as reading, eating, watching, wearing, to form your daily story. Take photos to go along with each of those words. Friday: "I go." Where are the places you go in your life right now? Use this prompt on a day you are doing a lot of "going." Saturday: "Normal day let me be aware of the treasure your are" (part of a quote from Mary Jean Iron). Focus on the very mundane, normal parts of your Saturday. What are the basics of your day? Sunday: "Today I am thankful for..." Tell the story of your day via the lens of gratitude. Take photos of the things you are thankful for and let that be your story. You might also consider picking one thing/theme to take a photo of each day regardless of whether you end up having a theme for each day. I was thinking of taking a photo of Aaron and I each day or something along those lines (I've done self-portraits in the past - sometimes taking a photo each day of me at our dining table or at my computer). FOUR // Consider using Daily Sheets. People have been using these for a number of years now to help document the days. They are a great starting point for learning how to write stuff down over the course of the week and then the content can be transferred to your album later. FIVE // Review these past posts to get you in the storytelling mood and to the heart of the matter. As always, thank you for being a part of this community and for your willingness to tell the stories of your life through these projects. I have wanted to try this project for several years now. I am thinking this may be the kick in the pants I needed to do this project this year. Today is my youngest son's first prom. I may start this project today so that I can use some of the many pictures I know I will be taking. Thanks for this post. I was feeling overwhelmed how to approach the project and now feel much better. You continue to motivate me to tell my story and to be real. Thanks for this post- it makes WITL seem so doable and not overwhelming. Definitely bookmarking this post! This is so helpful. Thanks. Looking forward to documenting this week. struggling with documenting the same week you are, or if I should do the week after. Thoughts? I think it's up to you! I try to pick a week when we are here vs. traveling just because that's the kind of story I'm wanting to tell. Doing it this week might give you an opportunity to focus on your relationship with just that kid which would be cool for them ;). WOW so powerful!! Thx for the outline, structure, tips. Now all I've gotta do is GET STARTED! I begin this project tomorrow! I printed the 6x8 version of the daily sheets but the hashmarks are at 5.5x7.5! It looks really ugly having those markings there when I trim to 6x8. Can you help!?! Make sure you have your printer settings set to "do not scale" or "actual size" and then the trim marks will be in the correct place. For some reason some programs/printers want to scale PDF's vs. printing at the actual size of the originally designed page. Thank you for the motivation. I'll definitely let these ideas percolate over the week. Thanks Ali, for the past two years I've used the kit to document trips away...but I think this one will be for a wonderfully "ordinary" week... Really hoping that you'll make those page dividers available in the shop as they went so quickly and they are such a strong design element in the album. Thank you for writing this, very helpful. I have already done my Week In The Life bc it worked for me with having vacation along with the kids Spring Break. (i am currently still working on my album) I figured I could capture a lot more about their visit with us. I have def incorporated doing this project the way that it works for me, which wasn't easy the first time many many moons ago. Each one of my albums are different and capture times in my life that are very memorable for me. I love it! Thank you for creating this fun project! Love this so much Ali. My family is going to be gone a few days this go round. I was thinking of just doing it a different week, but now reading this I think I'll still join in this time and focus on "A Week in the Life of Me." Of course, it will include my family, but maybe doing it this way will give me a narrower focus. I'm excited to see what my regular week looks life. Thanks so much for all you do! "your story is worth telling." such an important reminder, any day of the year. thanks for the inspiration, ali!